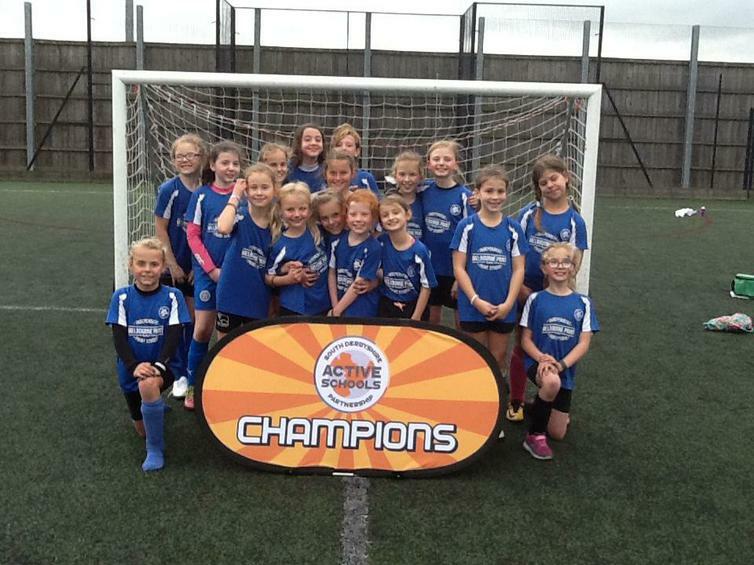 Two girls football teams took part in the South Derbyshire Active Schools competition on Friday 13th October. 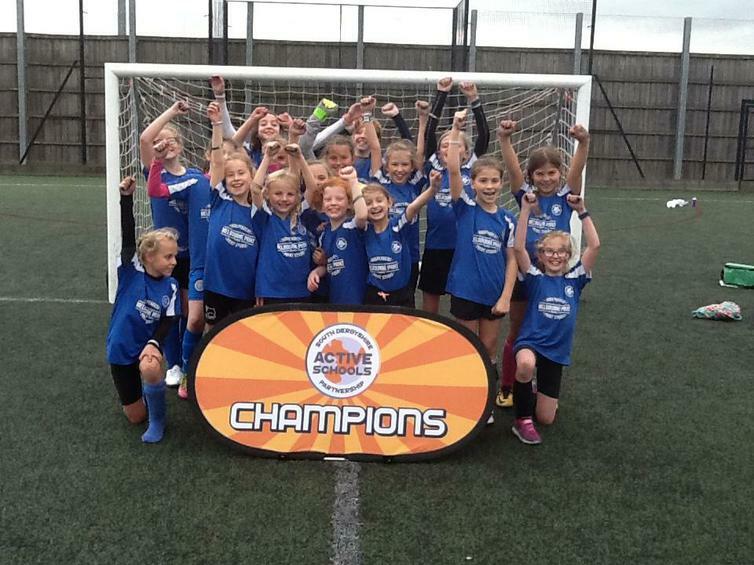 Both teams performed really well and the girls had a great afternoon. The B Team worked well as a team and made huge progress throughout their group games, but did not make it to the knock-out stage. 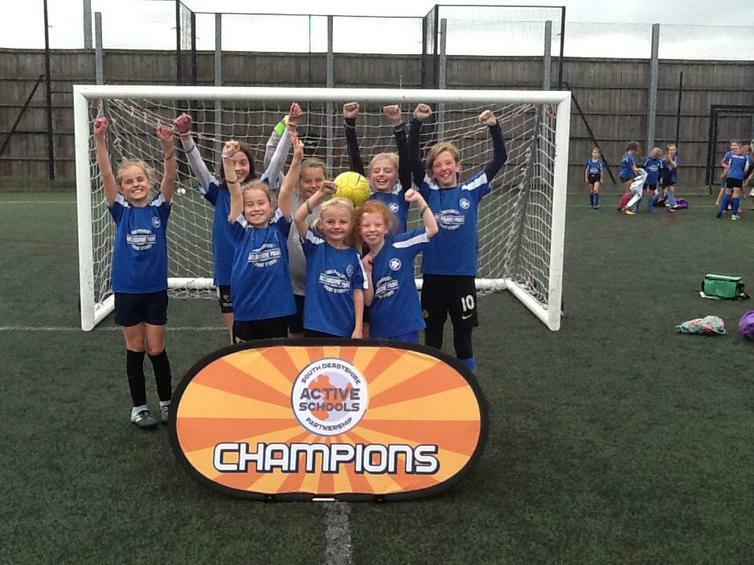 The A Team qualified for the semi-finals after winning their group without conceding a goal. 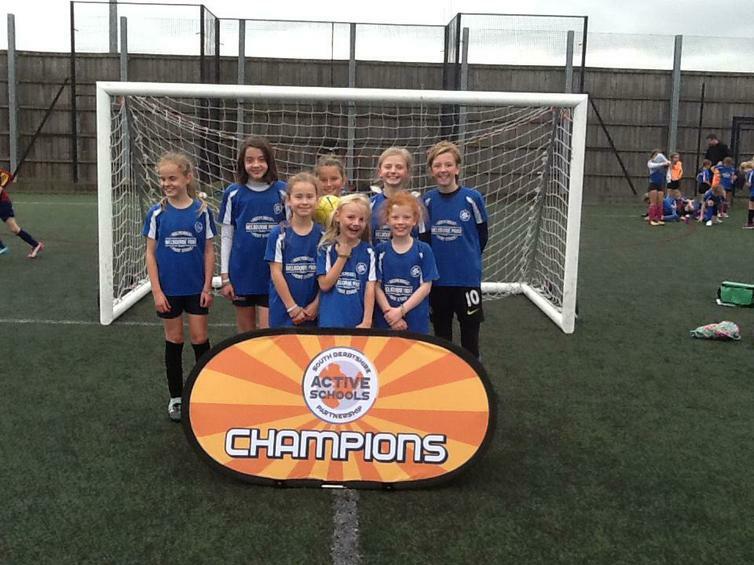 They were unable to win in normal time in both the semi-final and final, but managed to win two nail-biting penalty shoot-outs and become champions for the second time following their victory last year. They will now go on to defend their County Final title in November.